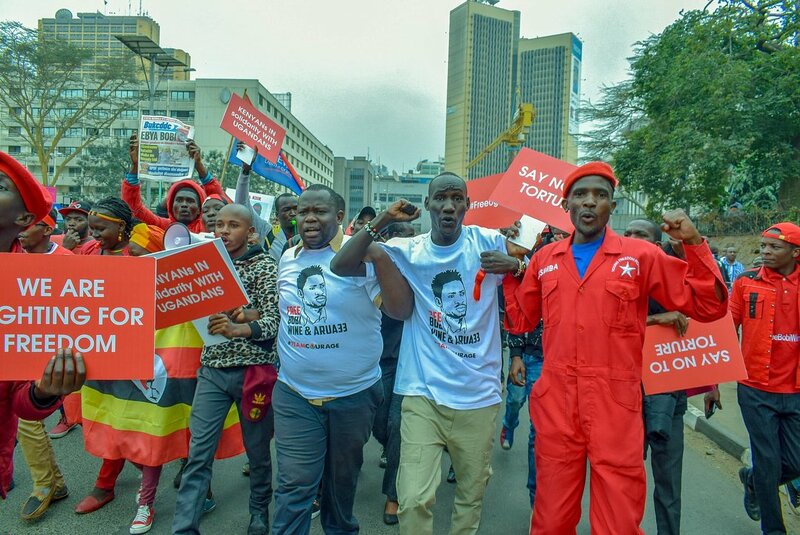 On Thursday August 23rd 2018 hundreds of Kenyans poured to the streets of Nairobi for a peaceful demonstration to demand for the release Bobi Wine. 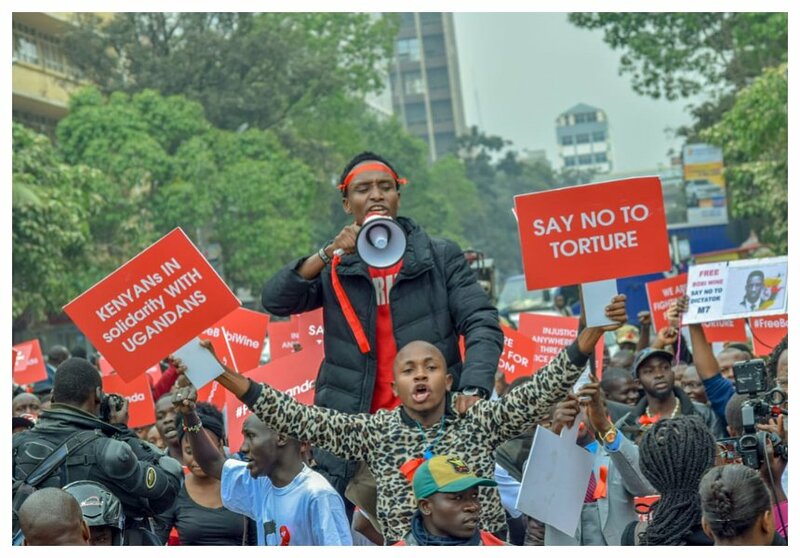 The demo was spearheaded by the Law Society of Kenya (LSK) and the Kenya Human Rights Commission (KHRC) following revelation that Bobi Wine was tortured in detention. 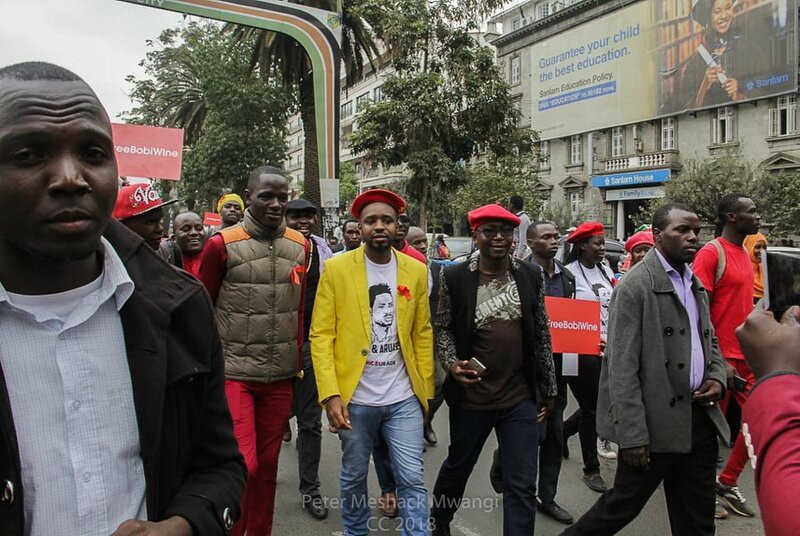 Boniface Mwangi and other activists congregated at Freedom Corner in Uhuru Park before starting the march to Ugandan embassy to pass their message across. Uganda’s Minister for Defence Gen Elly Tumwiine has called out Kenyans for standing up for Bobi Wine. The 64-year-old general wondered why Kenyans took to the streets to demonstrate in support of Bobi Wine when they already have enough problems to worry about. “By the way young people in Uganda, most of these messages you have received on WhatsApp, we have analyzed them and most of them are from abroad and sent by people who are comfortable wherever they are. A good number of the messages are from neighboring bad people from Kenya who are demonstrating when they have enough problems there,” said Gen Elly Tumwiine during an interview with NBS television.Meanwhile Museveni’s government has blocked Bobi Wine from leaving the country. On Thursday night police arrested Bobi Wine at Entebbe airport as he was leaving for US for treatment.